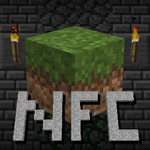 In the current version of New Frontier Craft, Aluminum is a metal with little use. It is a tier one metal that is used quickly with a speed of 5, and durability of 35. 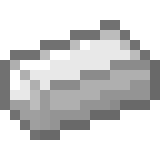 Its ore is common, generating about every eight chunks in medium sized clouds with an average concentration. It generates evenly between height 50 to 0, but can reach up to height 58 from the cloud's radius. Since it is tier one, its sword kills monsters in 5 hits. As mentioned, right now aluminum has little use. This will greatly change in the future when the industrial update rolls around. Aluminum will be able to be produced in massive amounts from its ore through an electric furnace, and will be a basic building block in most machines. That said, try to keep aluminum you mine in its ore form, you'll get more out of it in the industrial update. For the longest time in early NFC, aluminum was the most common metal. It was like copper - it was everywhere. It would be your first tier one metal you found nearly every time. As mentioned above, it was going to be a basic building block in machines, so that's also why it was so common. 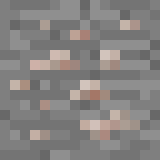 After some research, I realized although aluminum is the most common metal in Earth's crust in real life and a very commonly used resource in industry, in ancient times people had very little aluminum because normal forging does not work well on aluminum. Copper was the useful metal found in ancient times that launched civilization into the bronze age. That said, I switched the ores to be that way, and now Aluminum will be a more discreet tier one metal until the industrial update.